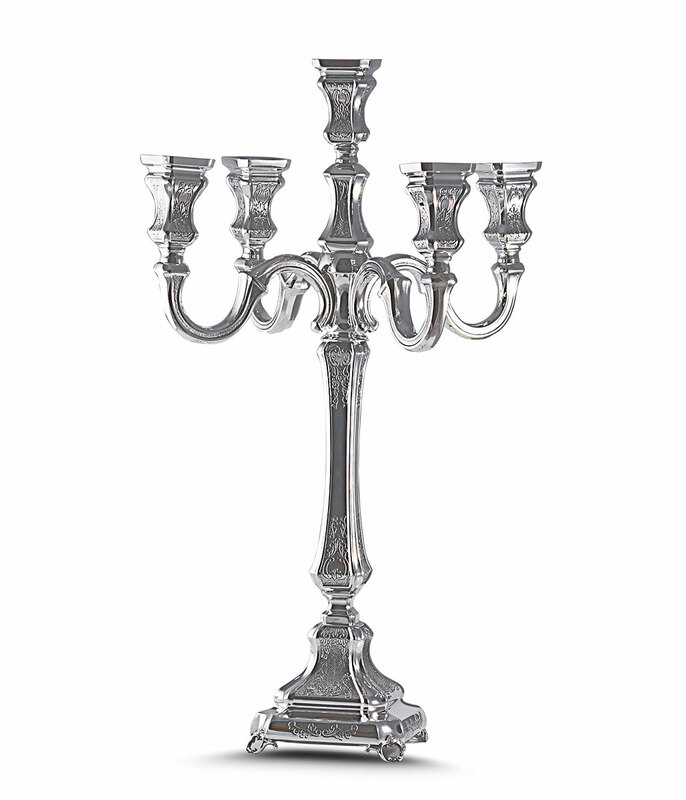 925 Sterling Silver Candelabra for Shabbat and Yom Tov Candle Lighting. Invest in a family heirloom, Candlebras have adorned Jewish homes in special moments as Shabbat and every Jewish Holiday. A Sterling silver Candelabra will be treasured and held dearfor many generations to come. We can have this Candelabra professionally engraved with names or any text, more options as you proceed to checkout. Shown in 5 branch, if you're interested in a different amount please contact us.